Wanton mee, yes. I used to eat wanton mee at least 3 times a week. Whether it is the Singapore, Malaysia, Hong Kong or Thai-style, I love all of them. 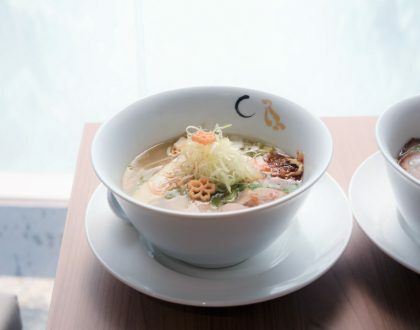 The thin noodles tossed in savoury sauce, those sliced melt-in-your-mouth char siew and wrapped juicy dumplings in soup. 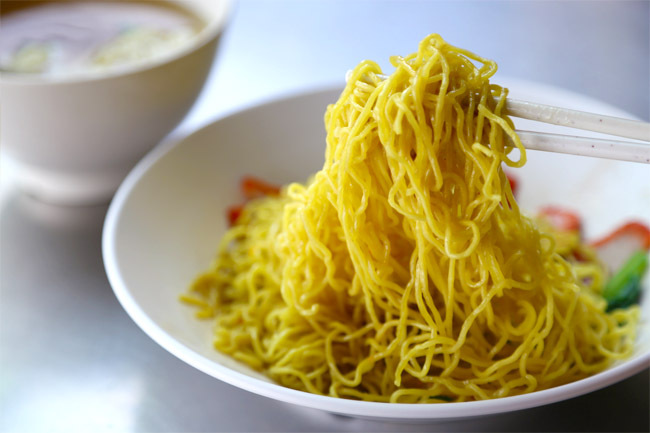 Eric Khoo’s movie “Wanton Mee” rekindled my love for a plate of simple old-school noodles. The director mentioned that his favourite was Guang Zhou Wanton Noodles at Tanglin Halt, which was where I would go if I needed some midnight supper. My mum usually bought us Hua Feng from Tiong Bahru market (which has unfortunately closed) every Saturday morning when I was in primary school, and I would wait wide-eyed in anticipation for her return. The springy noodles mixed with green chili, and that salty oily base sauce that the noodles would soak up was just pure bliss. Childhood memories. 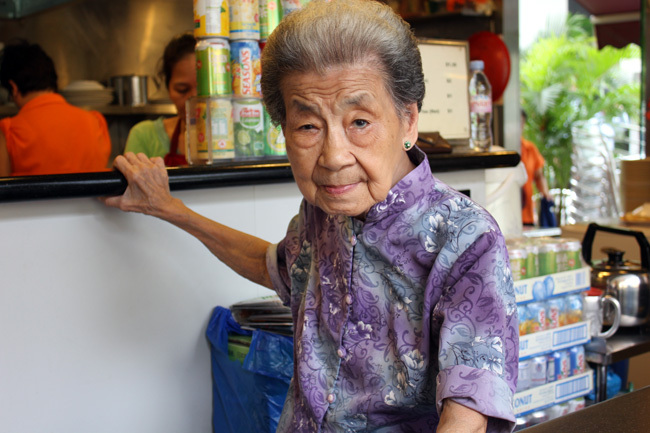 Granny Leong aka Poh Poh still works at her eatery Far East Square. Still healthy and going strong, and when I asked, she revealed she is 86 this year. 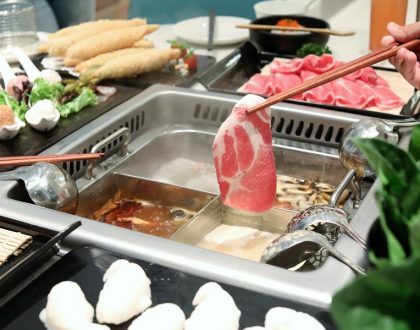 There are so many childhood foods that disappeared without a trace – because they have moved on, or that the younger generation do not want to take over the food business. 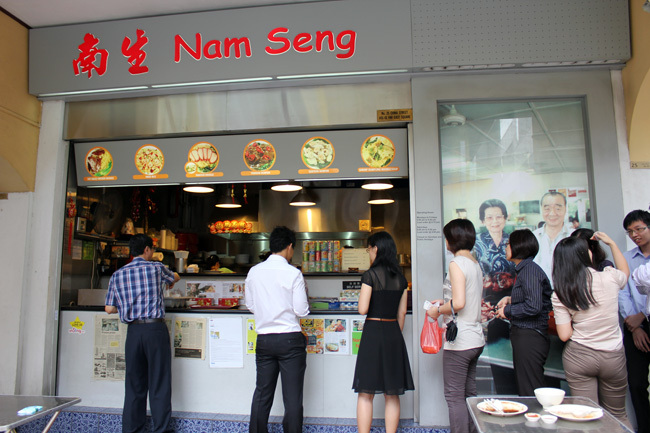 Nam Seng Noodle House started way back in 1957 the former Catholic High School in Queen Street selling macaroni and chicken porridge. 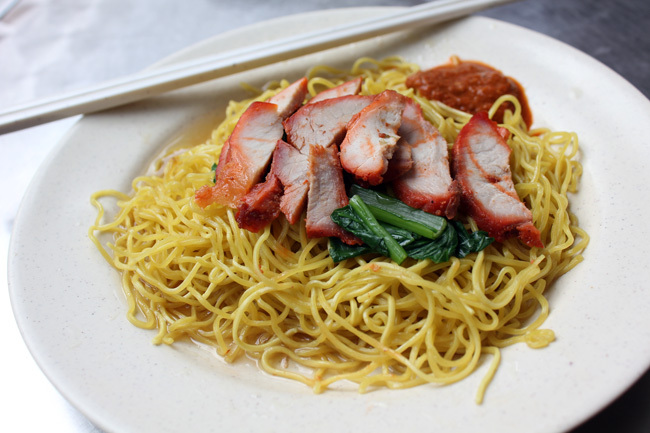 However, it was their signature Wanton Mee when they moved to the National Library at Stamford Road where they earned their accolades. Of course, the sad thing was that the library had given away to an ERP gantry. During my lunch trips there, Granny Leong was still there taking orders, but it was a group of workers cooking the food items. She was feisty and strong, and I could hear her nagging at her Chinese staff in Cantonese from time to time. Hugely amusing. I used to eat this during my childhood days every 3 weeks when I went to borrow books, and it taste ALMOST EXACTLY the same. 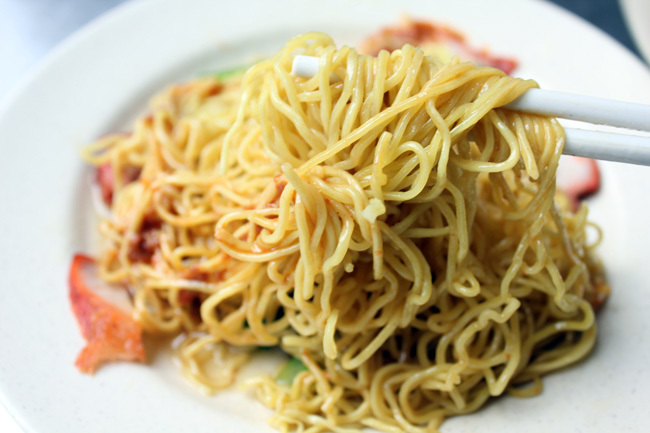 The same springy noodles, thin sliced red char siew, and the oily clear sauce that I miss so much. Nam Seng’s version ($4/$5) is most similar to Kok Kee’s. 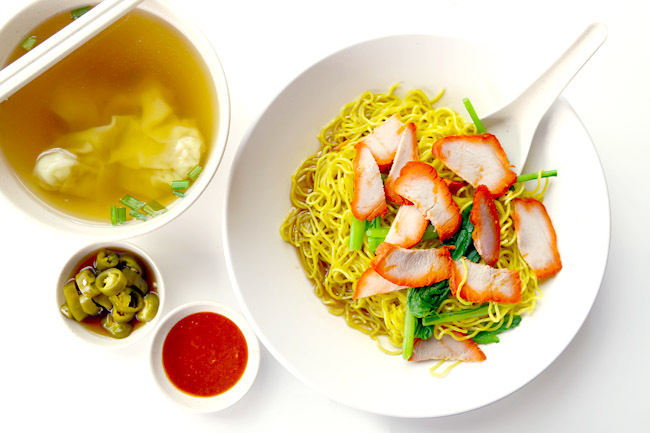 Some may not like this because the sauce is not like your typical wanton mee. Made with vegetable oil, salt, sesame oil and some secret ingredients, it somewhat salty, but very tasty which blends almost perfectly with the noodles. 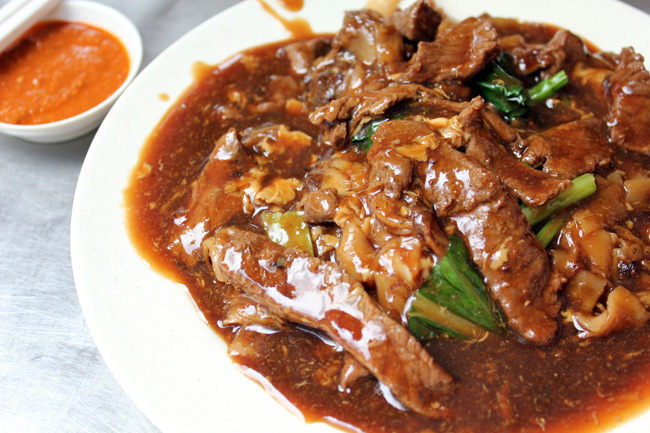 Another popular dish among the lunchtime crowd is the Venison Horfun ($5) appearing brown and drenched, with tender slices of meat. 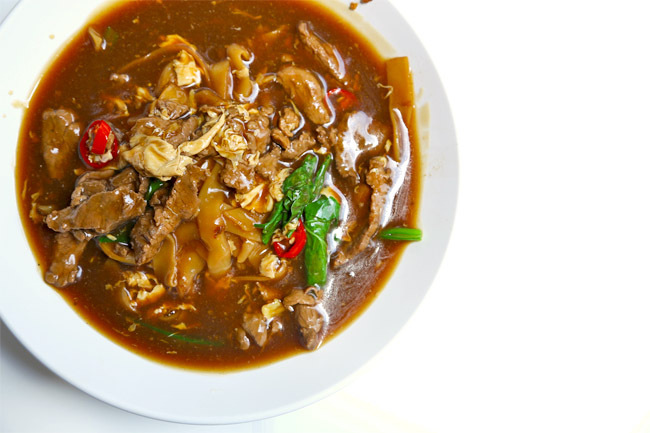 Although there is no usual ‘wok hei’ flavour, the gooey sauce could win you over. The sad reality is – what would happen if Granny is gone? I shudder to think. Let’s wish her the best of health, and continue to bring us this wonderful heritage dish. 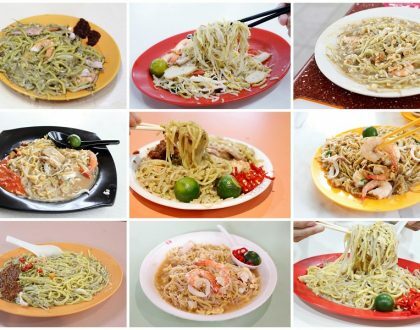 Recently, I have been on a search for the best wanton noodles, the old school Singapore type, and found my way to Kok Kee, Fei Fei, Koka, Hua Kee, Cho Kee, Eng’s… some didn’t quite taste how it used to. What are your thoughts? Wanton Mee is my favourite hawker food! I always go to Hao Hao Noodle House at Commonwealth crescent Market (the one with two chefs) to get me wanton Mee fix! So try that out!! How did you feel about the Old National Library getting demolished? 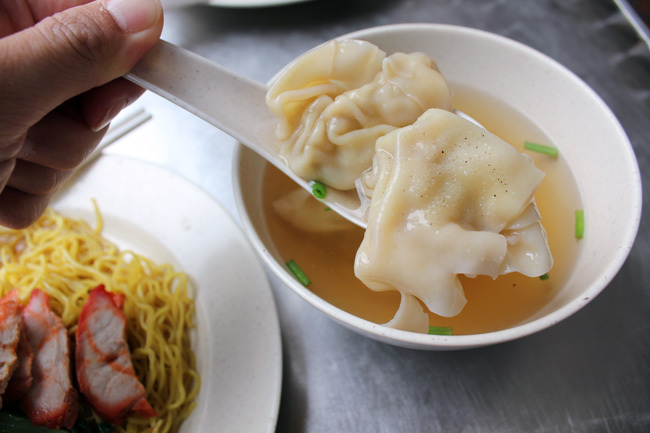 Some say Foong Kee wanton mee (6 Keong Saik Rd, Singapore 089114) is the best hidden one. Wonder if anyone has same thoughts?